FREE $5 Cracker Barrel eGift Card! Wahoo! 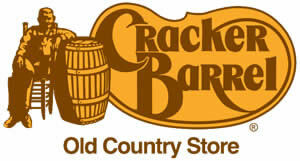 Head over here to play Cracker Barrel's Spin to Win game and opt in. Everyone who plays received a free $5 eGift card as an entry prize, plus the chance to win several other more awesome prizes! The digital gift card will be emailed to you within 3 days and you can play everyday for a chance to win other prizes.